You want a universal tablet stand that costs less than $20 compared to other proprietary tablet stands costing $40 or more. You want a tablet stand that is extremely portable but you want it to be sturdy and lightweight. You want a tablet stand that does not require that you remove the case that protects your tablet. You want a tablet stand that will work with your iPad, Galaxy Tab, Kindle or other tablet that you may purchase in the future. The Amzer Foldo Universal Tablet Stand can fit the criteria if you agree with the before mentioned statements. Whether you travel, stay at home or enjoy frequenting favorite hangouts alone or with friends - the Foldo will make taking along your table much more enjoyable. 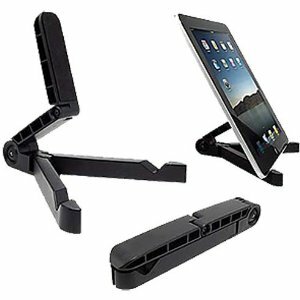 Traveling is a big reason that many of us are looking for a tablet stand that is small, lightweight and inexpensive. A flight lasting more than an hour is much more enjoyable with the tray table folded down serving as a desk for your tablet. Travel is not the not the only reason to use an Amzer Foldo Universal Tablet Stand however. 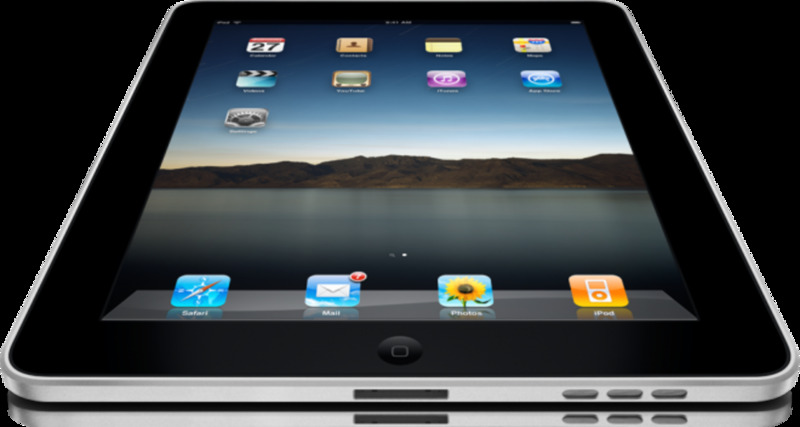 The iPad for example is often used for business as well as for surfing the Internet and watching movies downloaded from Netflix. 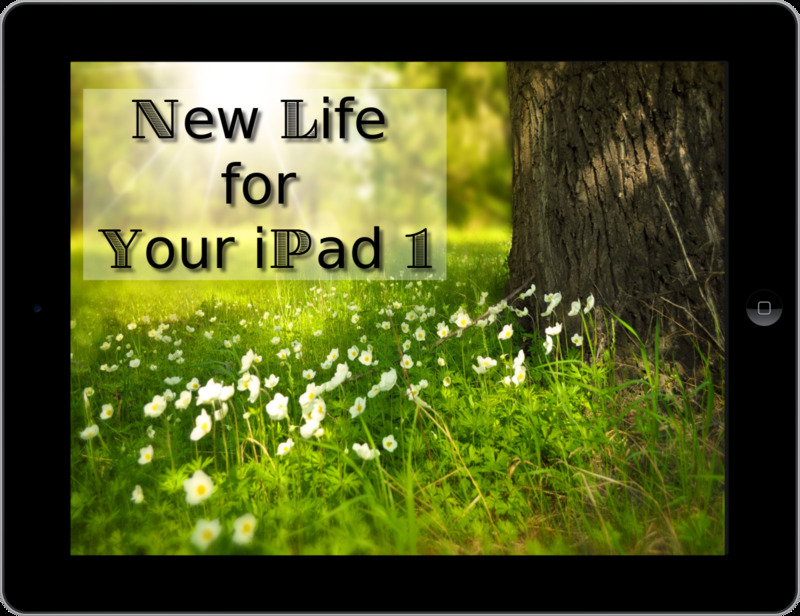 Complications are the last thing you want when setting up your iPad on the conference table during a meeting or before giving an important presentation. A tablet stand that is quick to setup and quick to break-down makes it feasible to enjoy a few minutes of entertainment at the lunch table or while sitting in your favorite spot at your favorite coffee or sandwich shop. A long commute home after a long day at work would seem a lot shorter if you were lucky enough to have small tray next to your seat or a really flat brief case that would accommodate your tablet on an Amzer Foldo Universal Tablet Stand. The Amzer Foldo Universal Tablet Stand is very compact. While in its most compact mode it measures a mere 7 inches long X 1 inch tall X 1 inch wide (17.78cm X 2.5cm X 2.5cm). It weighs only 3 ounces (86g). 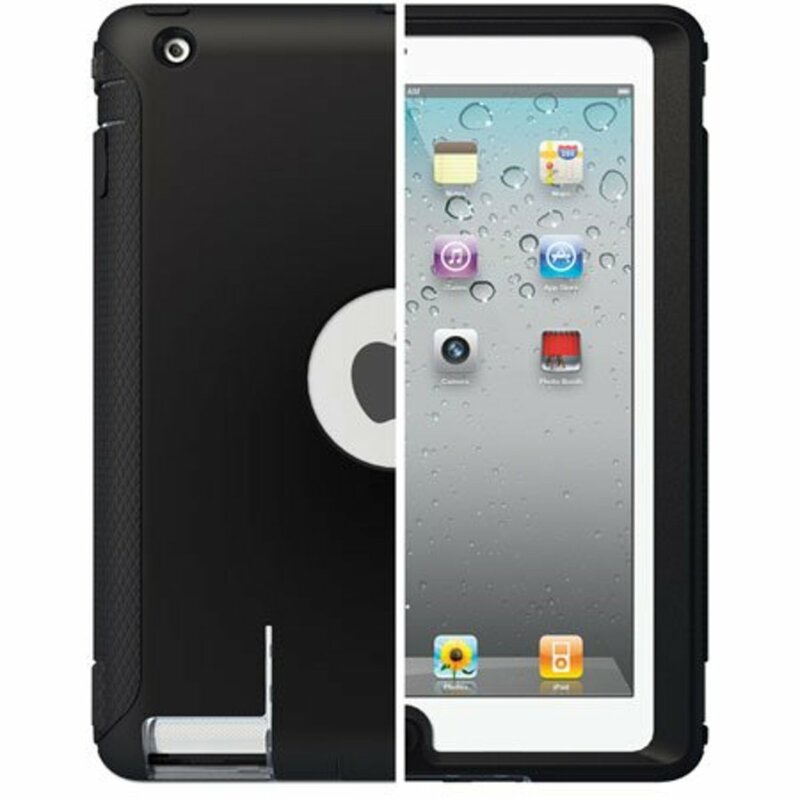 The black plastic tablet stand can be tossed into any bag without worry of breaking or scratching it. The Foldo does not have sharp corners or edges that could scratch or damage gadgets or your fingers. The bottom of the Foldo is cushioned so it will not scratch the table or desk and will not allow the tablet to slip or slid during use. Any tablet stand should provide as many options as possible. This is where the Amzer Foldo Universal Tablet Stand really shows what it is capable of. Each leg is adjustable. 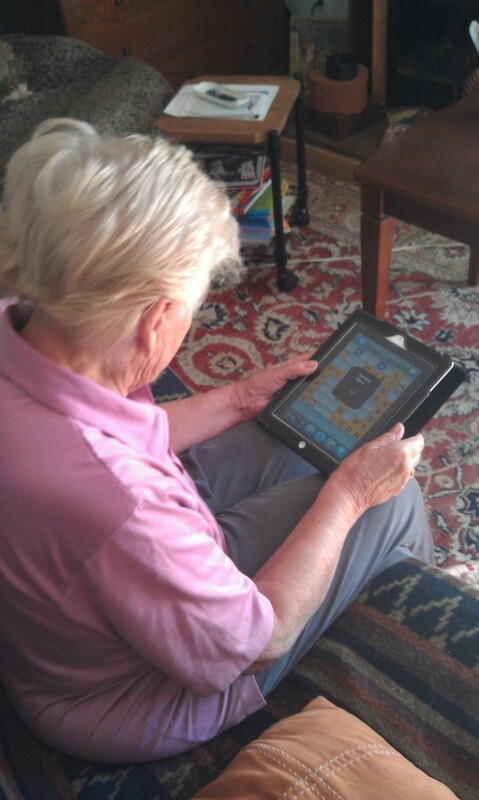 The support legs can be spread to the width necessary for the size of the tablet or eReader. The center leg that supports the back of the tablet can be set for any angle that suits your mood. Make the viewing angle as straight or as low as you wish. Whether standing or sitting down you will always be able to view the screen. Adjust for a perfect tying angle as well. I review iPad and tablet stands quite often. I have written about iPad stands that are even more compact like the Compass iPad Stand. That said, the Amzer Foldo Universal Tablet Stand is the least expensive and offers more versatility of any tablet stand that I have found so far. 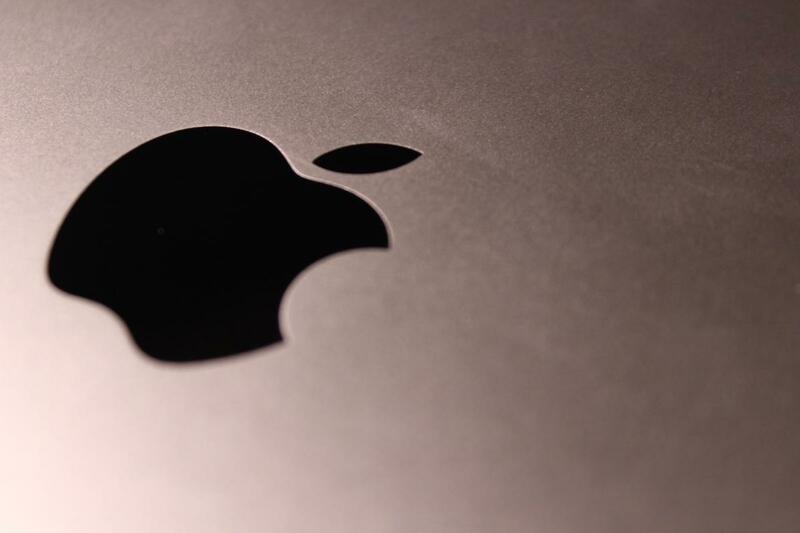 I like that all surfaces that touch my iPad is padded. 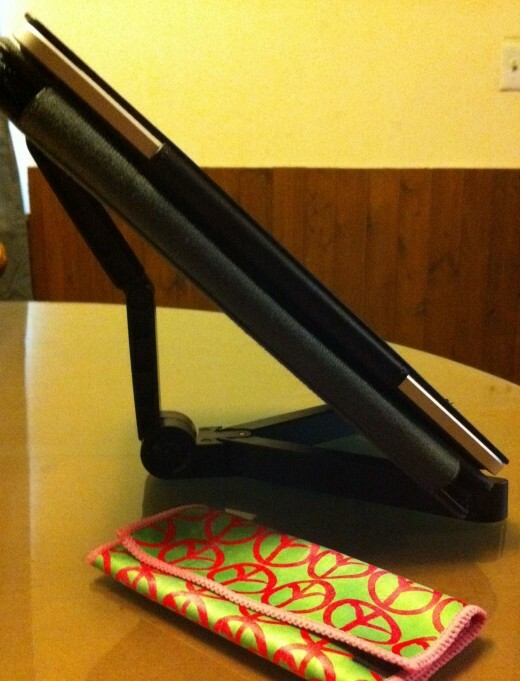 I like that I do not have to remove my ZooGue iPad case to use the Foldo Tablet Stand. I like that it is so carefree and easy to use. I like that it is compact and lightweight. I like that it is priced so that owning more than one is an option. Although the screen does not show in this photo - the Toddy Cloth (with Peace Signs) made cleaning it to a brilliant shine was super easy! Interesting! I think it's a wonderful accessory to have - since these tablets are not exactly super light weight. great price for such a handy equipment!